Welcome to the best Star Trek series list! Space: the final frontier. These are the voyages of the starship Enterprise. Its five-year mission: to explore strange new worlds, to seek out new life and new civilizations, to boldly go where no man has gone before. How many times have you heard these lines? Star Trek has been gaining popularity since its first introduction in 1966, and the franchise is bigger than ever. Find your favourite series and characters in our Star Trek series list, and if you want more you can always check out the extensive library of TV Science Fiction & Fantasy. We've compiled a list with some of the best Star Trek series, and we guarantee you'll find at least one you'll love. Between classics and some newly released series, you can enjoy in their voyages to the fullest. 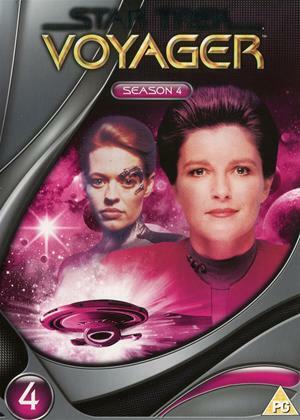 Star Trek Voyager tells the story of the crew of the USS Voyager, which becomes stranded in the Delta Quadrant, and we decided to introduce it to you with its fourth series. Voyager is the fifth incarnation of Star Trek series, it follows Captain Katherine Janeway (Kate Mulgrew) and her crew, original and assembled along the way. Many critics describe this series as the best one of the Voyager, along with the addition of Seven (Jeri Ryan) to the crew, even though fans were at first worried that her attractiveness may shift focus from the story. The episode "Living Witness" received special critical accommodation as one of the best episodes of the entire series. Rent it on DVD and explore more content including Braving the Unknown: Season 4 and Time Capsule: Seven of Nine. The penultimate series of Star Trek: The Next Generation needed to be on our list. So, what's going on in this season? The season begins with the successful rescue of Data from the nineteenth century. Later, Captain Jean-Luc Picard endures a Cardassian torturer, Lt. Worf (Michael Dorn) uncovers a life-changing secret aboard the Starfleet station Deep Space Nine, and Lt. Cmdr. Geordi La Forgf (LeVar Burton) rescues Chief Engineer Montgomery Scott from a 75-year transporter limbo. Exciting! Get a special taste with DVD and Blu-ray editions and plenty of additional extras such as Beyond the Five-Year Mission: The Evolution of Star Trek: The Next Generation and Audio Commentaries on Relics, Tapestry and Frame of Mind. 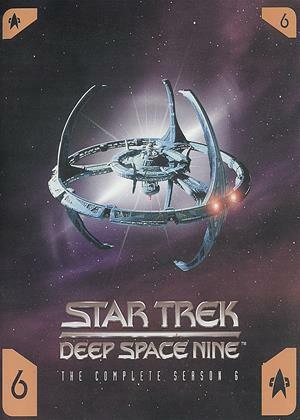 Next on the Star Trek series list is Deep Space Nine: Series 4. DS9 is considered the breakthrough series, because it dared to steer away from the familiar in Star Trek, while keeping its core values. But most fans are united on where to start watching it, and that is - anywhere after the first two seasons, that's where it really becomes exciting. So, get your sci-fi on with series 3 and this fourth series in the franchise, and join the crew on their interplanetary adventures aboard the Federation station Deep Space Nine. Rent it on DVD where plenty of extra content is waiting for you, like Charting new territory: Deep space nine season four and Bob Blackman's designs of the future. 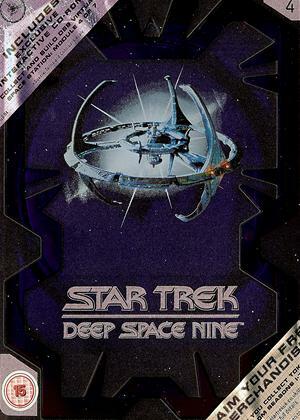 Star Trek: Deep Space Nine (abbreviated to DS9) is set in the Star Trek universe in the Milky Way galaxy. This show differs from the others by being quite stationery and not focused on the voyages. Also, it is regarded as one of the best in the Star Trek series because it deviates from the standard formula, it is "less trek and more war". At DS9 we meet new characters, starring Avery Brooks, Nana Visitor and René Auberjonois, but we also see some familiar faces. Series six begins three months into the Dominion War and its impact on the former crew of DS9. Be sure to check it out on DVD where you get 7 discs to watch through including plenty of special features, including Ferengi Rules of Acquisition: The Beginning and Mission Inquiry: Far Beyond the Stars. 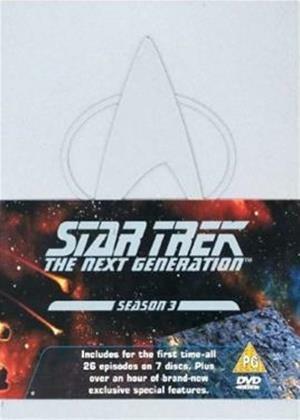 We're continuing the best Star Trek series list with another entry from Star Trek: The Next Generation, this time series five. For many, TNG is the most "watchable" series even if you're not a Trekkie, and could be said that Picard is the most well-known Captain because of the show's revival in the early 90s. What's exciting about TNG series 5? Here Picard (Patrick Stewart) pursuits the rogue Ambassador Spock (Leonard Nimoy) into enemy Romulan territory and we see the return of Wesley Crusher (Wil Wheaton). Without giving too much away, this season is a must-see, and it's adorned with four Emmy Awards. Special features on DVD and Blu-ray give an additional insight into what's going on this time on starship Enterprise. 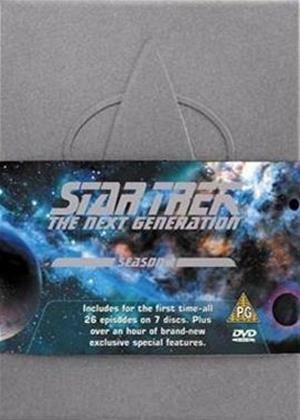 Star Trek: The Next Generation in its series 4 starts with Captain Picard's terrifying battle to escape from the inhuman Borg, follow up to the previous season's big cliffhanger. 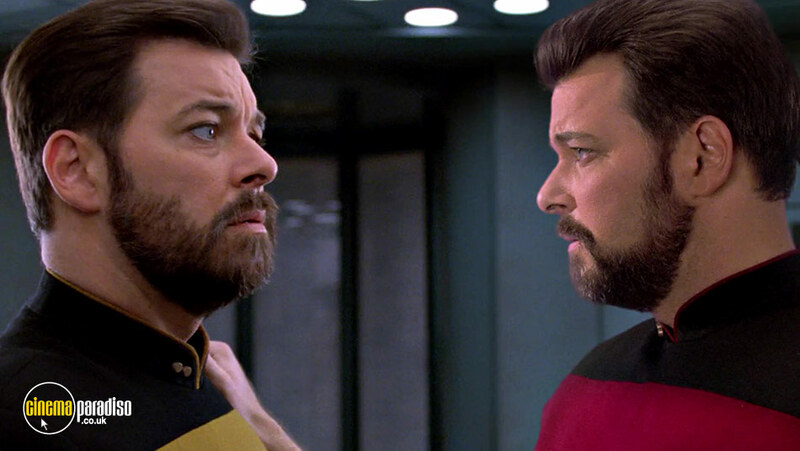 As in previous series, Star Trek: TNG stars Patrick Stewart as Captain Jean Luc Picard, Jonathan Frakes as Commander William T. Riker, and Brent Spiner as Lt Cmdr. Data among others. 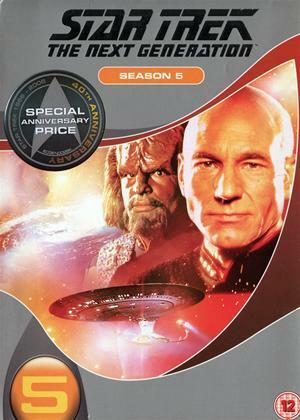 Historic 100th episode of the show is set during this series, showing the Klingon Empire on the brink of civil war and Worf leaving the Enterprise to fight on behalf of Gowron. Special features on DVD and Blu-ray include All-new multi-part documentary Relativity: The Family Saga of Star Trek: The Next Generation and In Conversation: The Star Trek - Art Department. Star Trek: The Next Generation followed the crew of a new starship Enterprise set a century after the original series. Experience episodes such as "The Survivors", "Sins of the Father", "The Offspring" and one of the great cliffhangers in television: Part One of "The Best of Both Worlds". It's never been easier to indulge in binge watching, and we all love it. 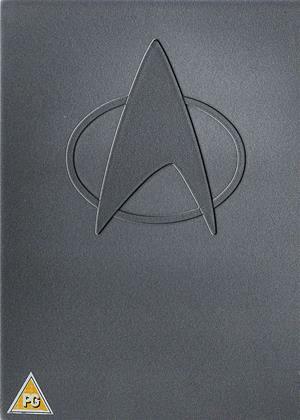 Be sure to check out the DVD and Blu-ray editions, series 3 includes all 26 episodes on multiple discs, plus an abundance of exclusive special features including Star Trek: The Next Generation, Inside the Writer's Room (a reunion of the show's key writing staff moderated by Seth MacFarlane) and Resistance is Futile - Assimilating Star Trek: The Next Generation. We hope you'll enjoy in these titles as we believe these are some of the best Star Trek series to this date. If you're in need of more science fiction and fantasy fun, try browsing our extensive collection of over 90,000 titles, and don't forget you can rent DVD and Blu-ray with our Free Trial offer!